Event presenters who document their events and submit them to us afterwards will help build an archive of ideas for future The Big Draw LA events. And you may win an award for your outstanding event! Take photos and video and be prepared to submit them for consideration. Additional details will be provided to registered event presenters. Help others draw inspiration from your project! 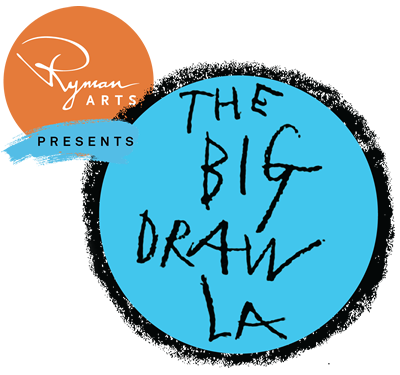 1450 Ocean in Santa Monica hosted three successful Big Draw LA events in 2013. 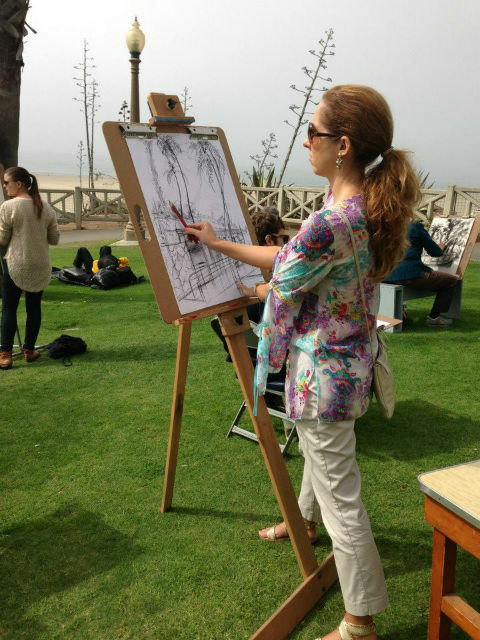 For each event, a professional artist was brought in to facilitate the activities. These included: Embroidery for Artists with Jenny Hart of Machine Project, Plein Air Drawing with Gary Geraths of Otis College of Art & Design, and Camera Obscura - Tracing 360° with DJ Hall of Otis College of Art & Design. For the 41st Worldwide Sketchcrawl twenty-three sketchers met at Pasadena City Hall in Old Town Pasadena for a group sketching session. 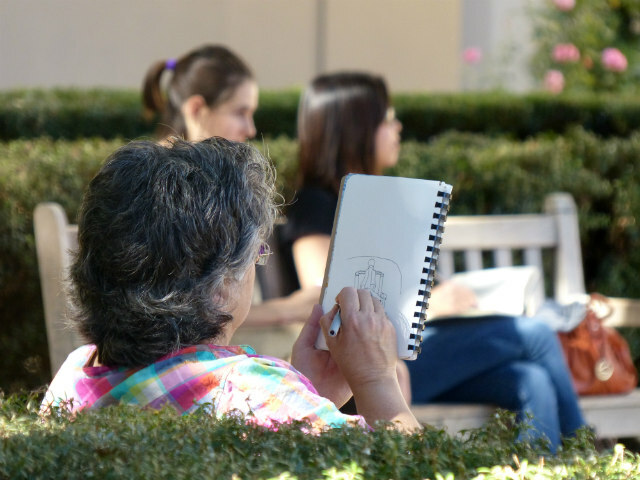 Participants spend individual time sketching and then gather to share their drawings with the group. 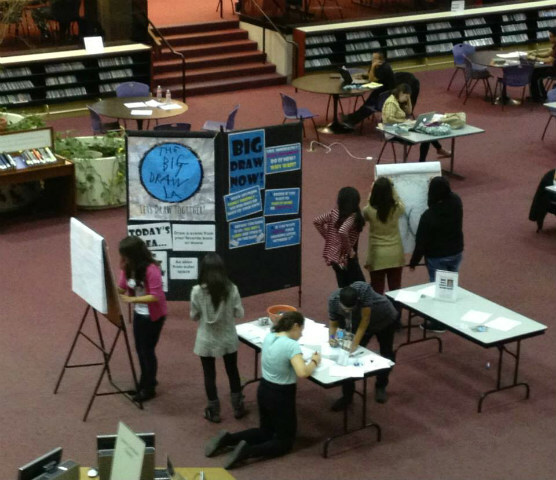 Glendale Central Library produced a number of wonderful events for The Big Draw LA in 2013. These included: Chalk the Walk, It's Big! Draw Together Glendale with Nickelodeon artist Kristin Donner, The Big Mini Comic Book Workshop with animation artist Kyle Neswald, and the multiple days Big Draw Now! drawing station. 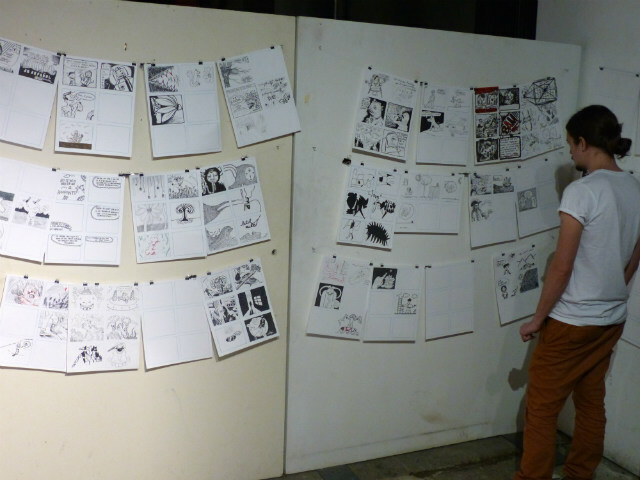 Comix Jam was an all-inclusive, collaborative, and participatory event held in the gallery of ArtShare LA from October 20th through the 24th. The kickoff event included collaborative comic making, silk-screening demonstrations, live music, a zine library and readings by local artists. 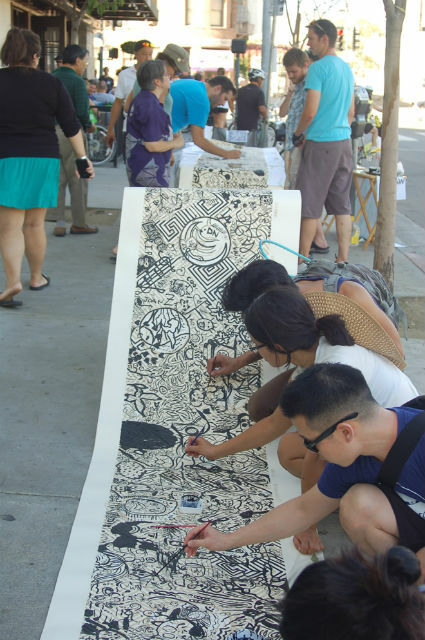 On October 6, during the City of Los Angeles' CicLAvia biking event, over 280 participants jumped off their bikes picked up a brush and jointly added their thoughts, doodles, and brushstrokes in black sumi ink to a long paper scroll over 35 feet long.